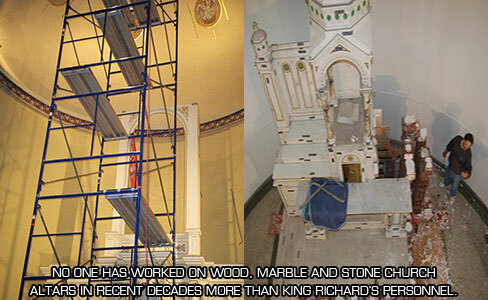 Why King Richard's for your removal and installation needs? 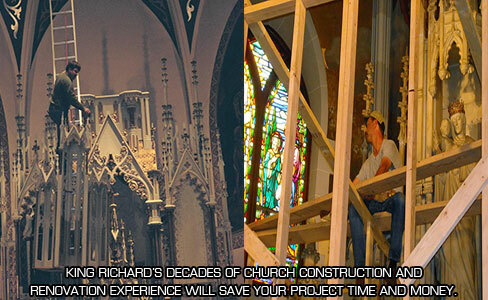 King Richard's contracting division has been actively engaged in the specialty religious business for more than 20 years. Based in Atlanta, Georgia, we have successfully completed projects for churches, seminaries, hospitals, schools, diocesan facilities, convents, funeral homes, cemeteries, and private chapels, throughout all 50 states, United Kingdom, Canada, Japan, and Australia. 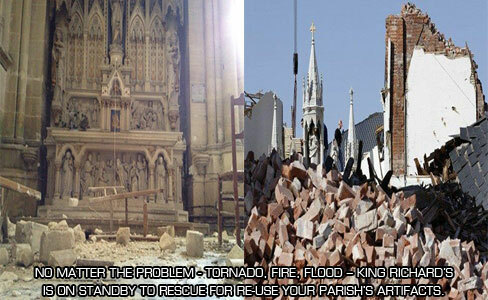 The removal and installation of religious artifacts is fragile work, requiring expert assistance. 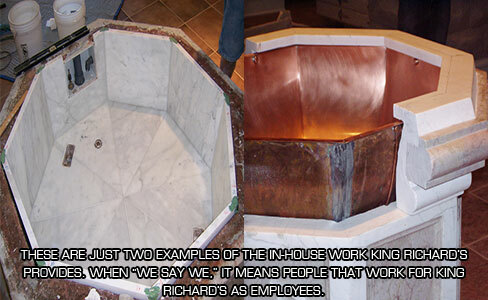 That's why parishes around the world turn to King Richard's time and time again for complete contracting services. 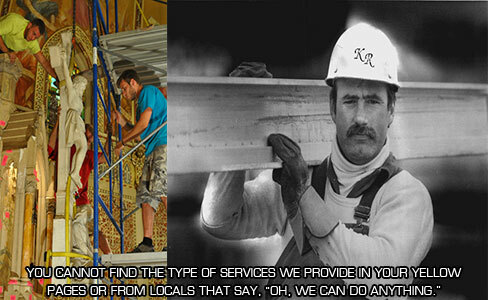 Our in-house staff will handle all aspects of your specialty contracting needs. That means peace of mind. 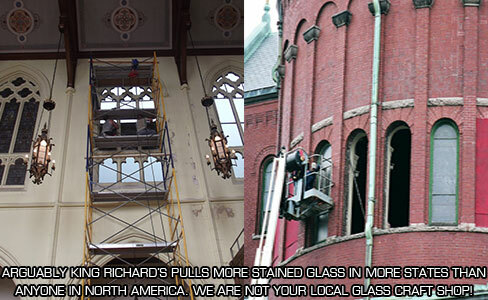 Over the past decade, we have removed and installed hundreds of marble and wood altars, bronze and stained glass artifacts throughout North America and Europe, more than any other firm in the world. 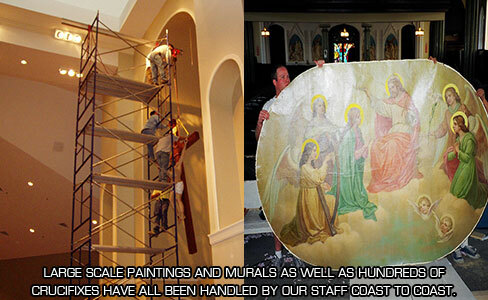 Our workforce includes marble setters, stained glass experts, the finest wood carvers, liturgical consultants, bronze founders, painting and mural experts, church lighting designers and marble carvers from 4 different countries. 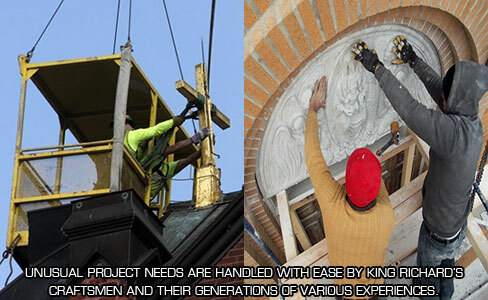 Established to streamline the traditional method of delivering construction and artist crafts, King Richard's provides a single source of responsibility for total project design and execution. Whether your project demands a particular skill or trade, our services are tailored to the task at hand. Find the expertise you need—all from one source. 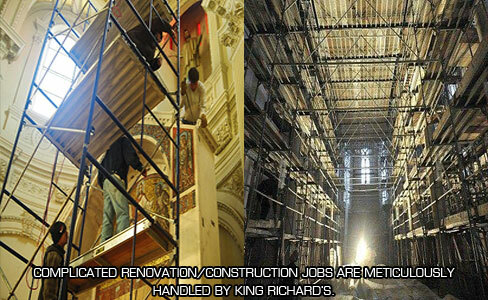 King Richard's Religious Contracting construction professionals can handle any job or design you can conceive.